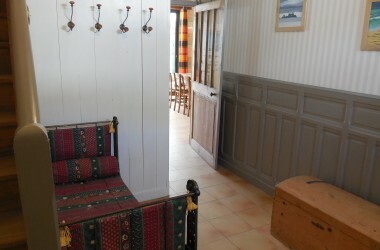 Let’s be seduced by the authenticity of this house decorated in the pure Ré island tradition. 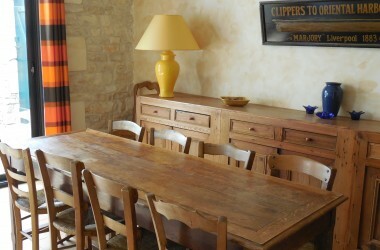 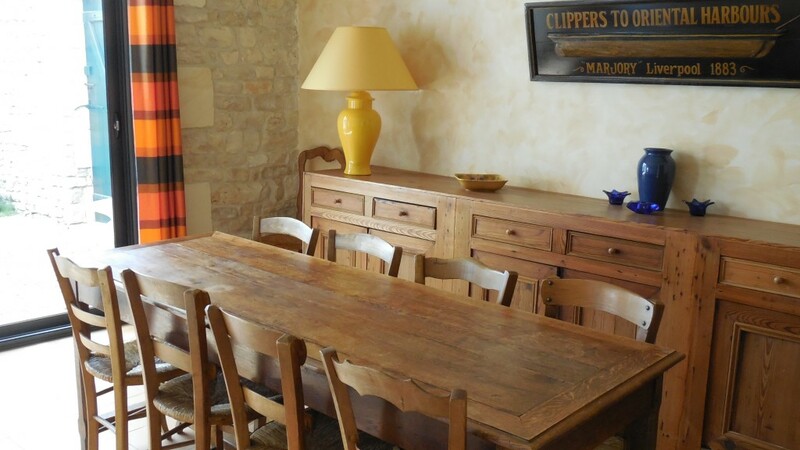 For your summer holidays or short stays in off-season, enjoy the comfort of the villa La Salée. 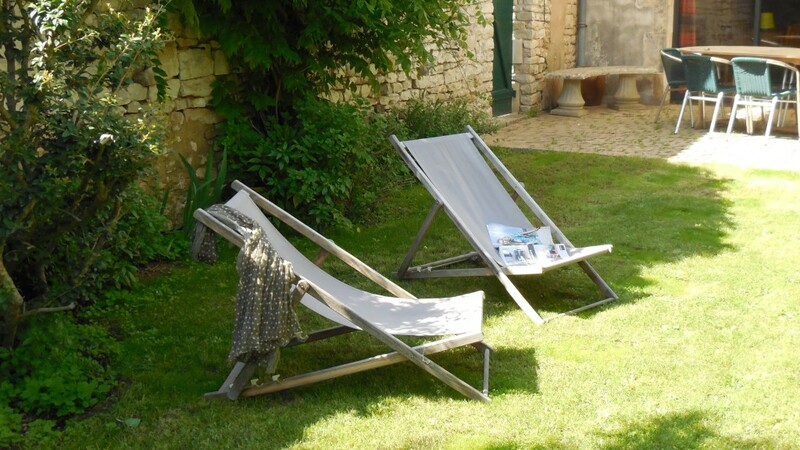 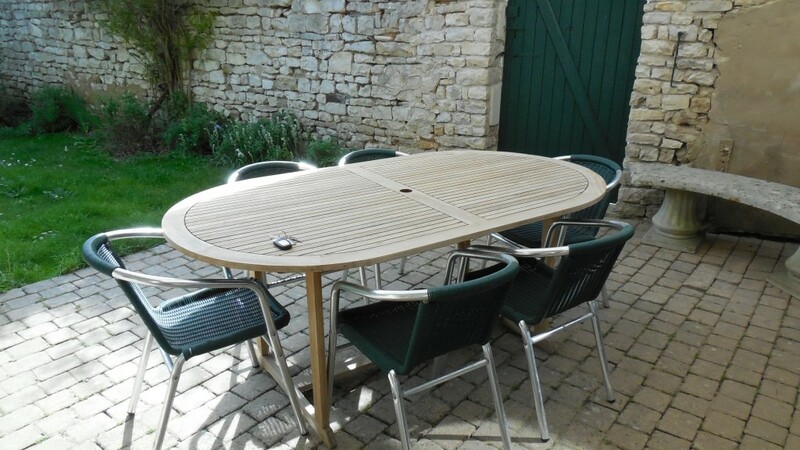 Relax in the shade of the prolific glycine, enjoy the sun of Ré Island and appreciate the barbecue on the terrace. 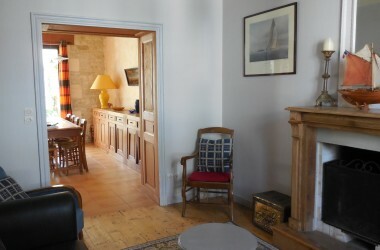 Cooler evenings, the comfort of the cozy lounge will allow you to spend quality time with family or friends. 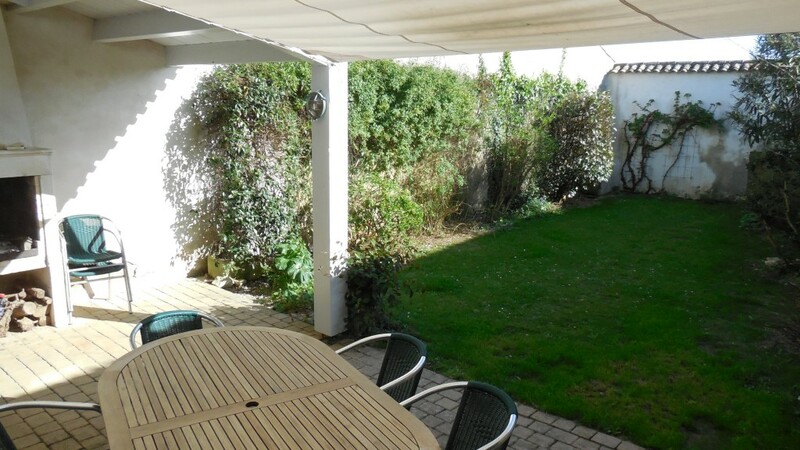 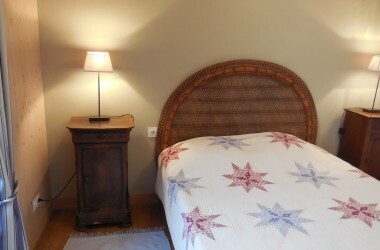 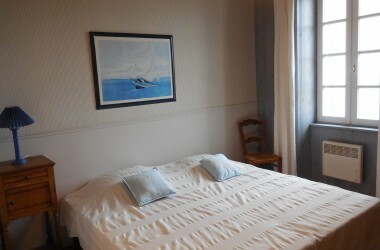 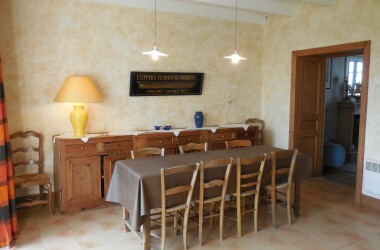 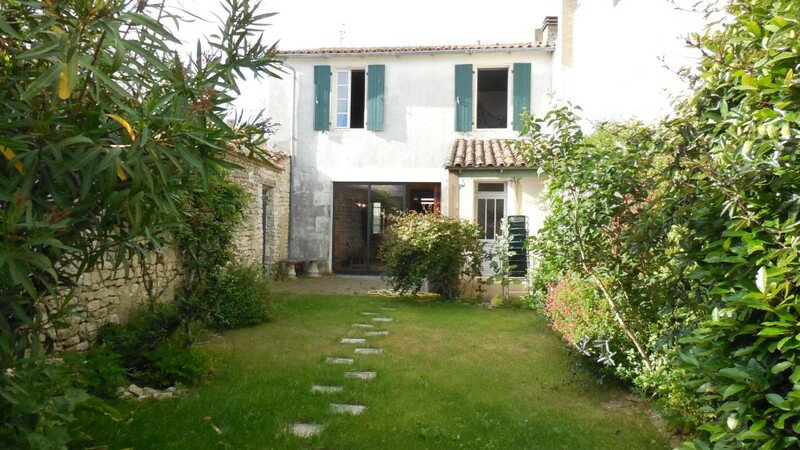 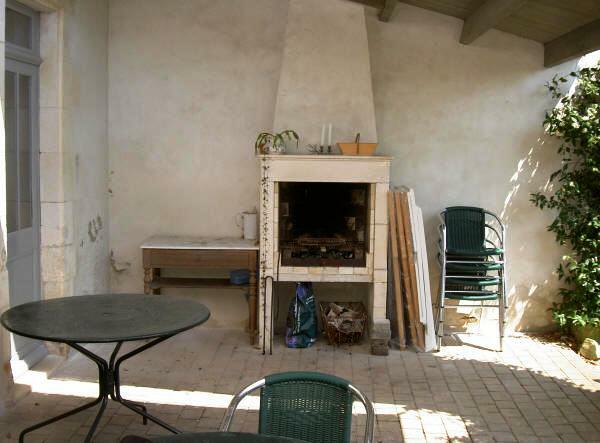 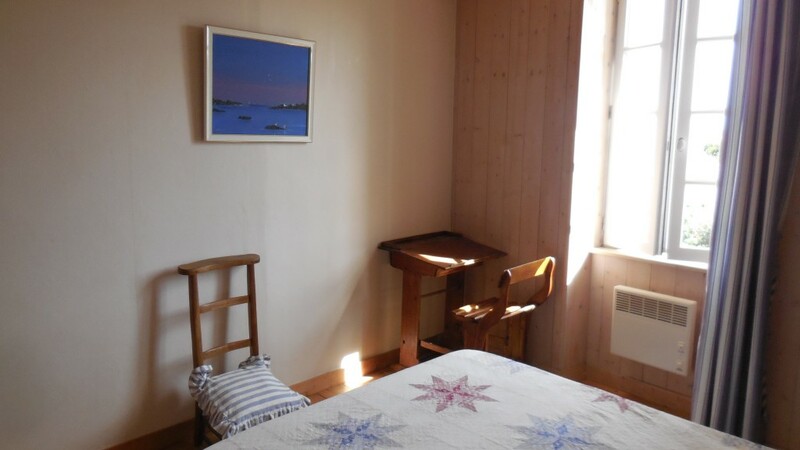 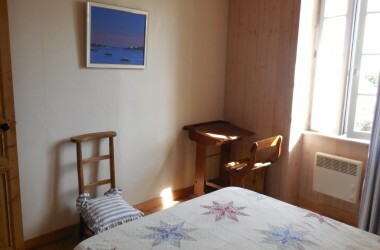 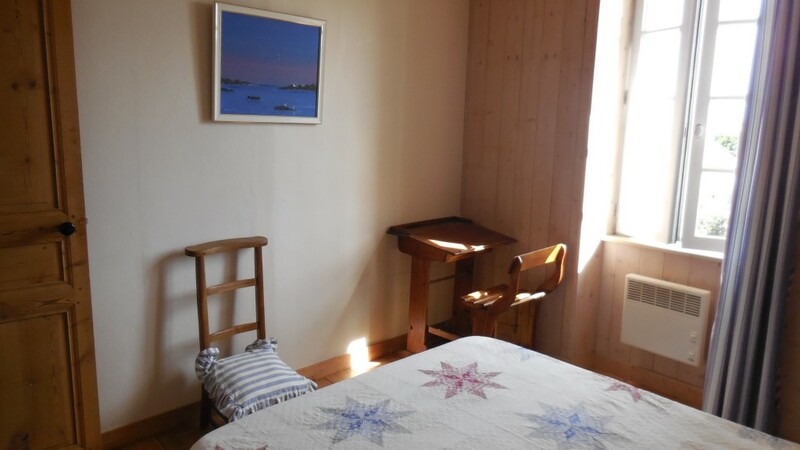 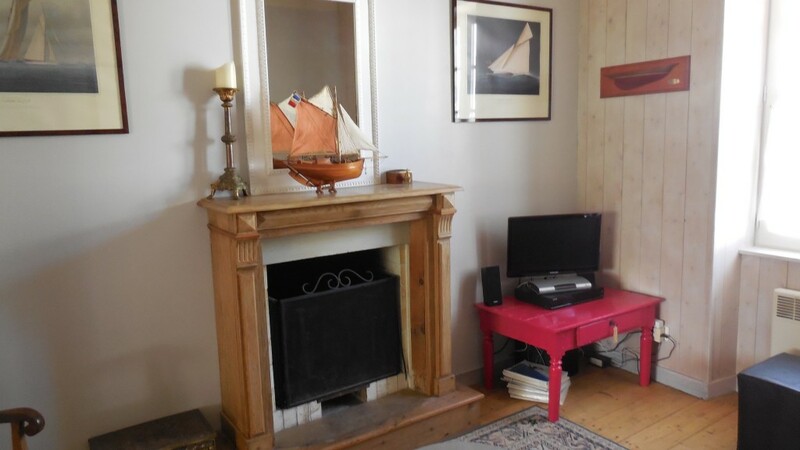 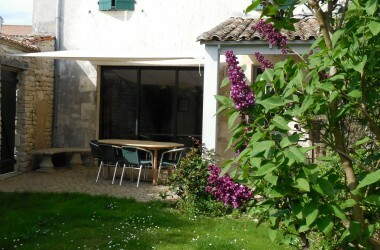 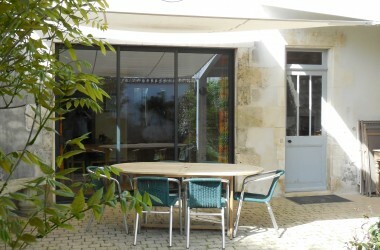 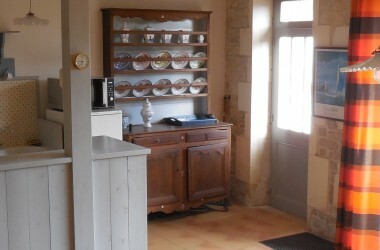 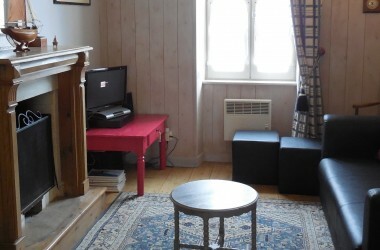 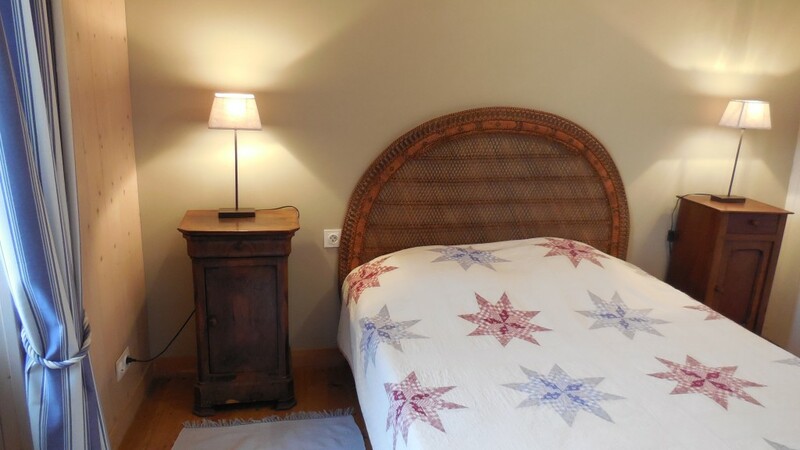 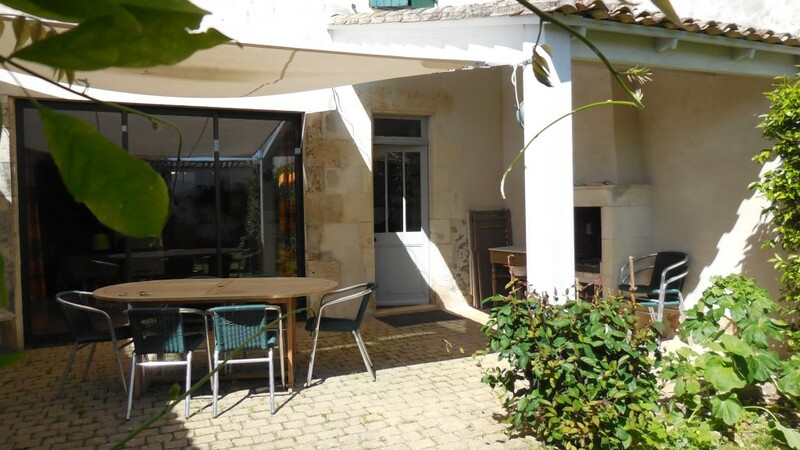 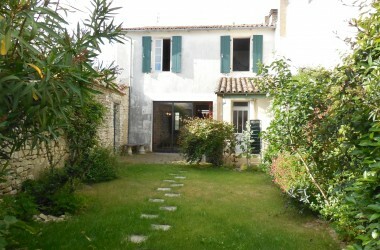 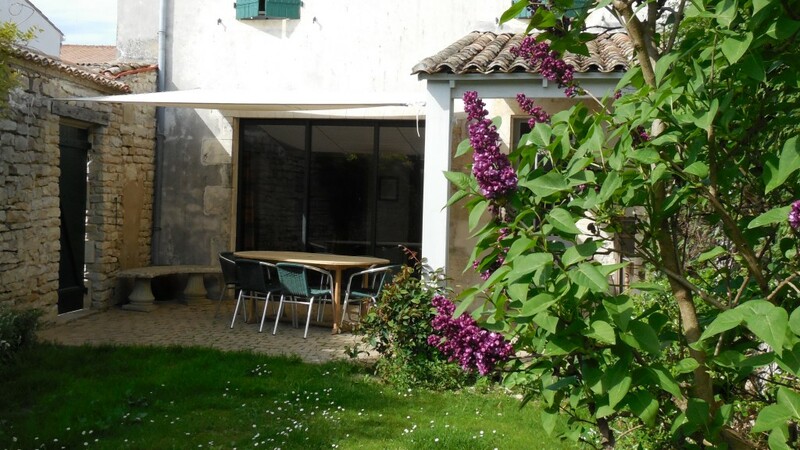 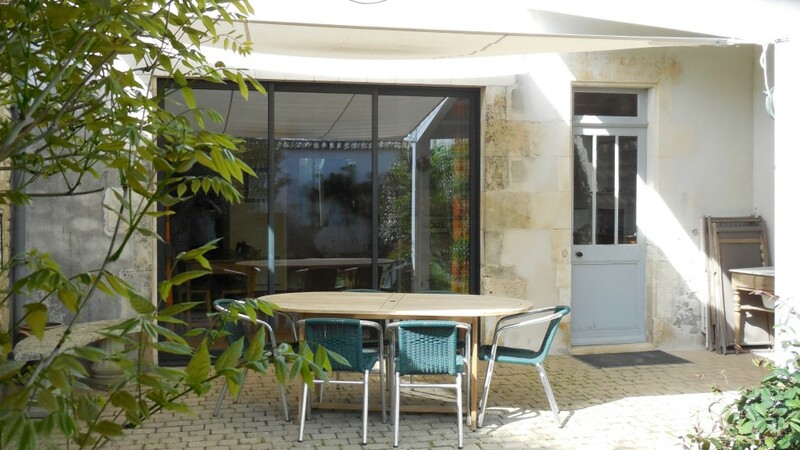 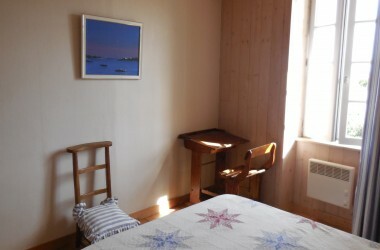 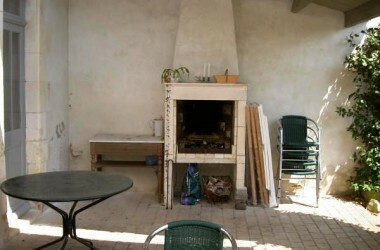 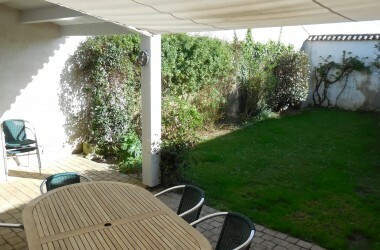 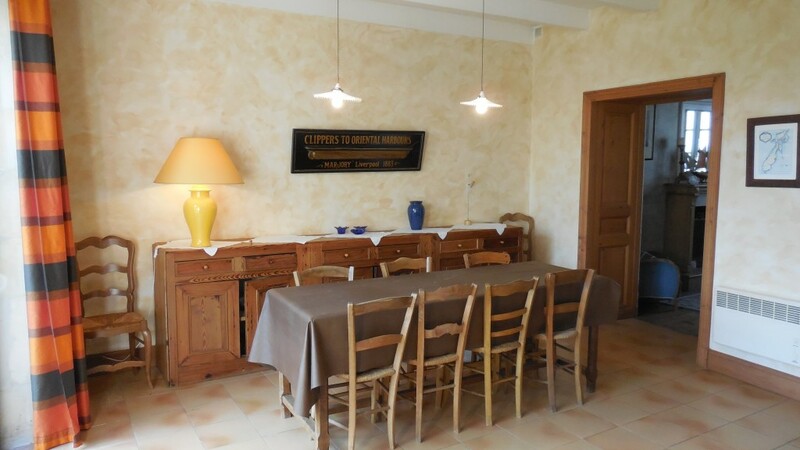 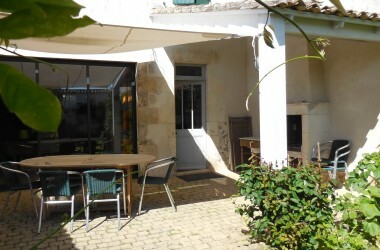 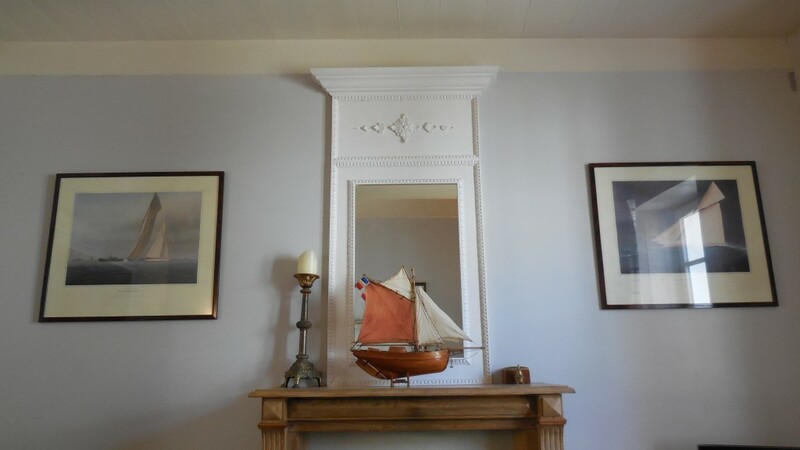 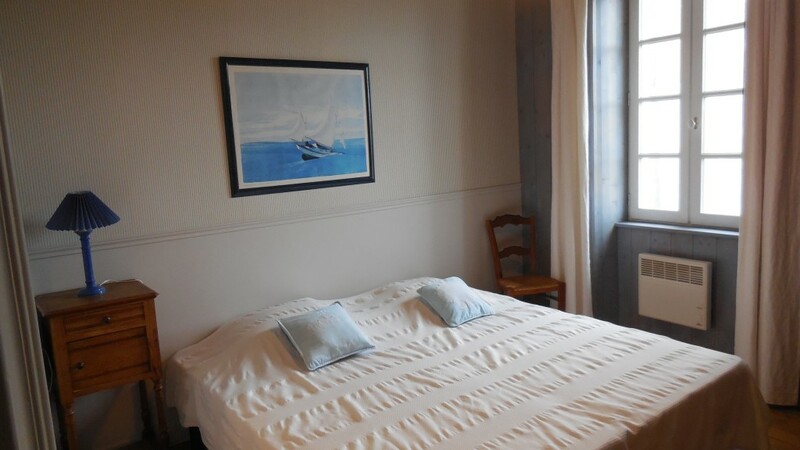 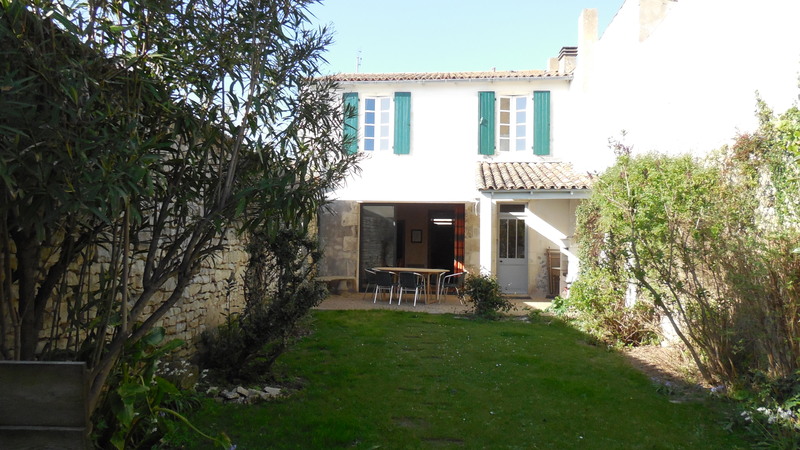 The villa La Salée is a few minutes from the beach and the town center of Sainte Marie de Ré. 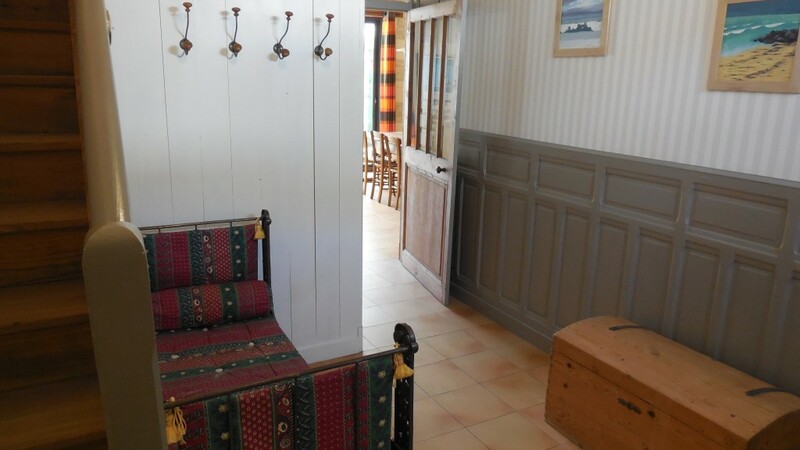 So you can enjoy your holiday to the rhythm of Ré island, browsing the streets of the village on foot or by bike. 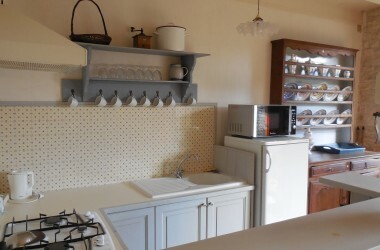 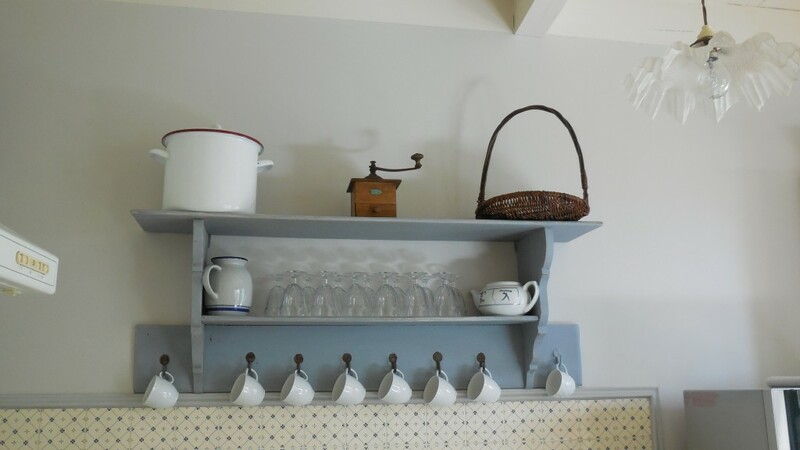 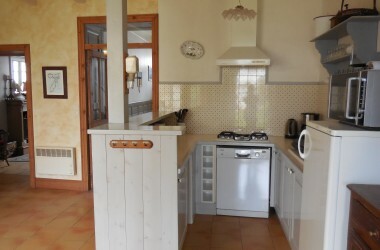 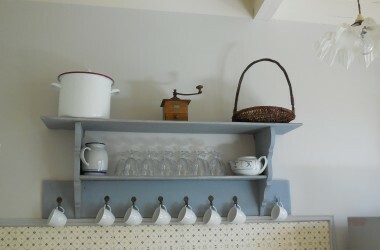 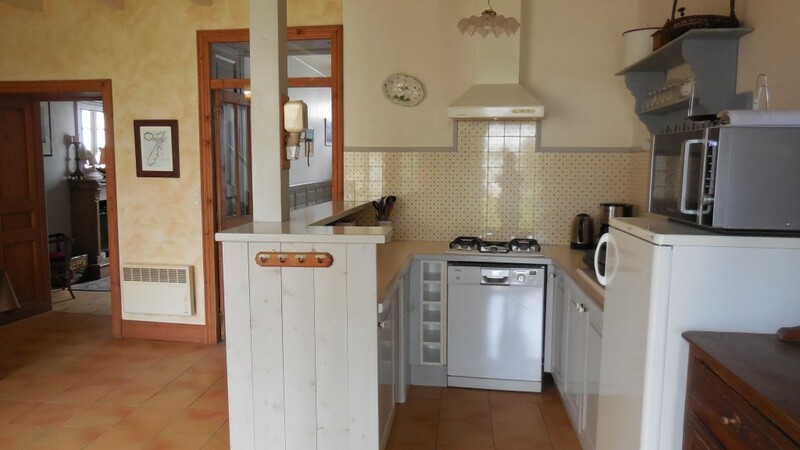 The very functional kitchen is equipped with a multifunction oven and fridge freezer. 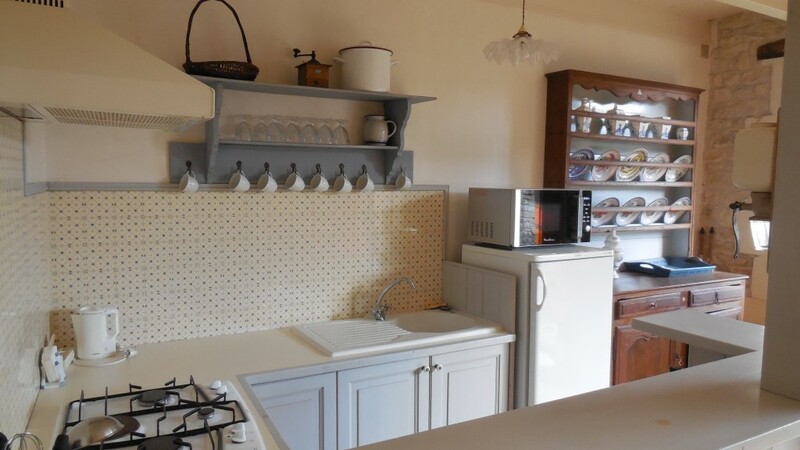 Dishwasher will avoid you the chores during your vacation. 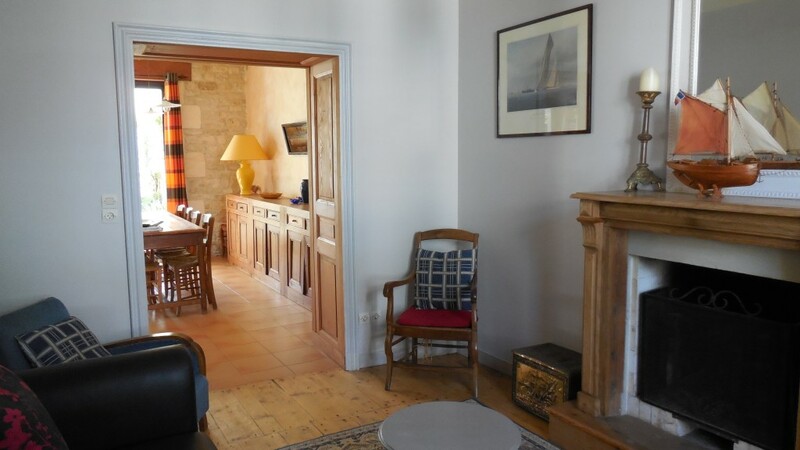 The kitchen opens to a spacious living room, complete with large windows overlooking the terrace and garden. 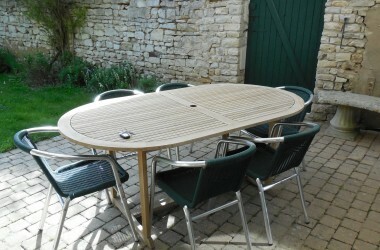 You can eat comfortably to 7 or more. 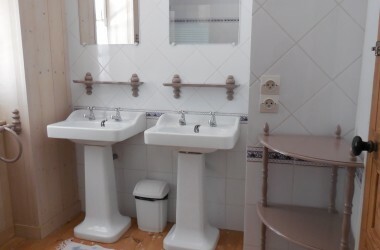 The entrance to the house has arrangement space, and a separate toilet. 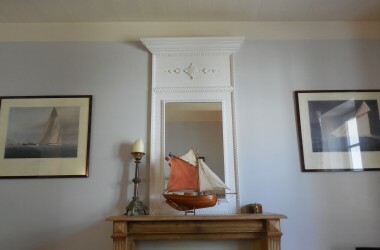 The lounge, with its cozy decoration, will allow you to spend evenings cocooning front of the fireplace. 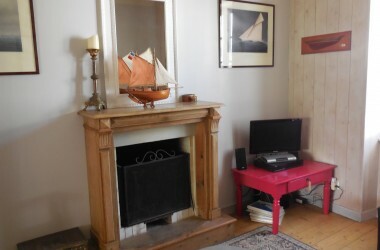 The living room has a flat-screen TV, a Blu-ray DVD player and wireless internet connection. 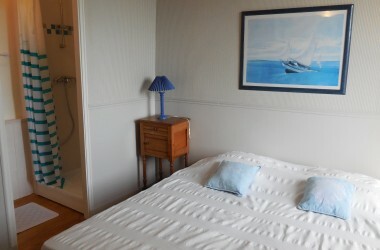 Upstairs, 3 spacious bedrooms offers all the comforts for a good holiday. 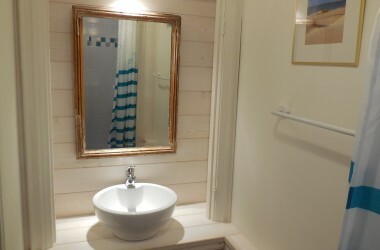 The master suite, with its large double bed (bed 180X200 cm, separable into 2 singles), has its private shower room, and offers a view of the garden. 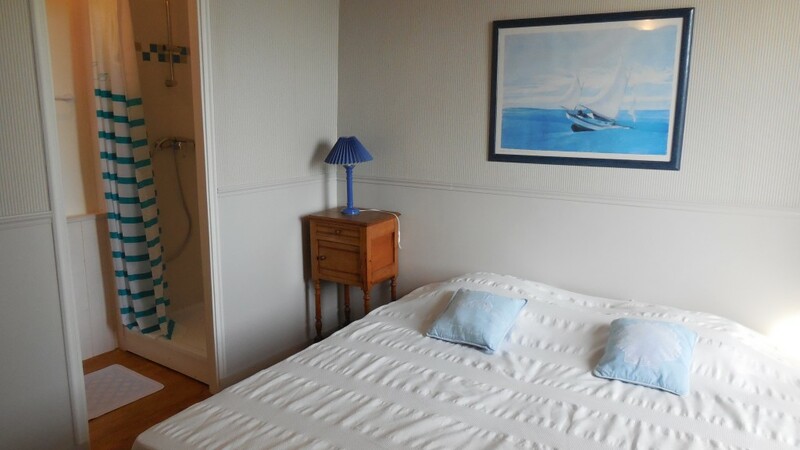 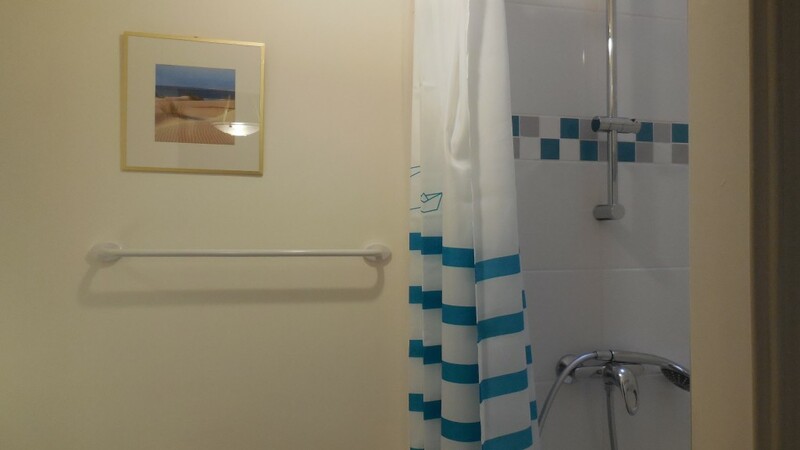 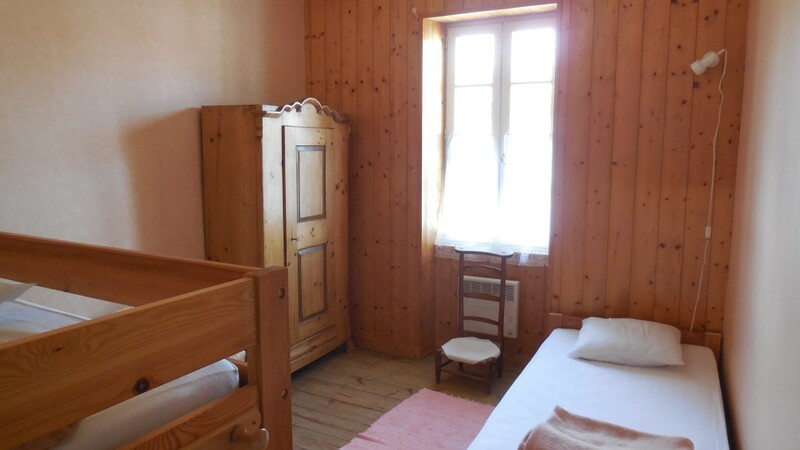 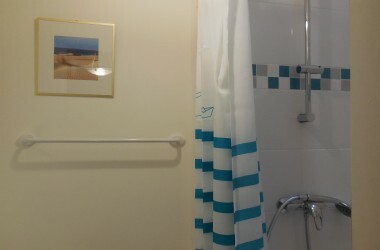 The second double bedroom consists of a double bed and a functional dressing. 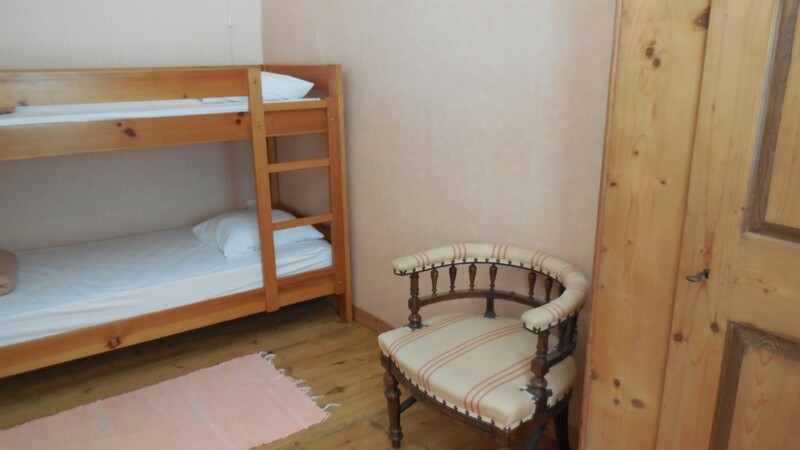 Finally, the children’s room has three beds, with a single bed and bunk beds. 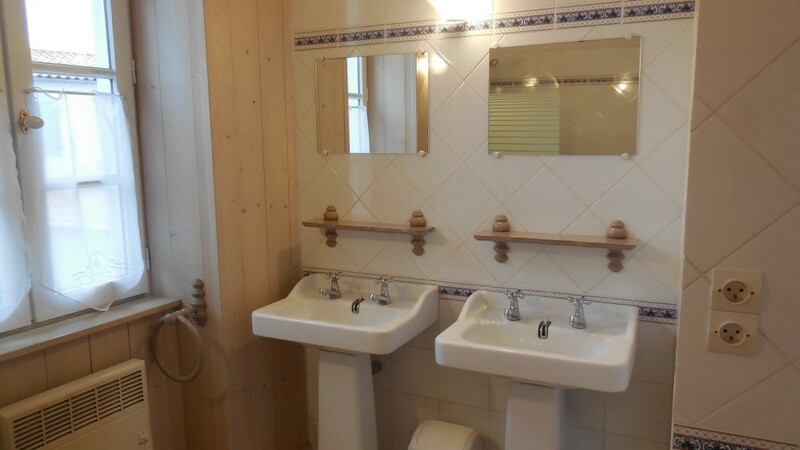 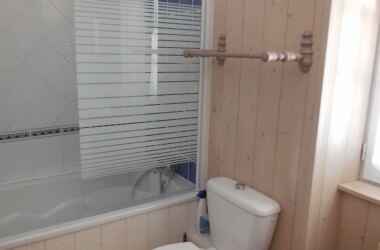 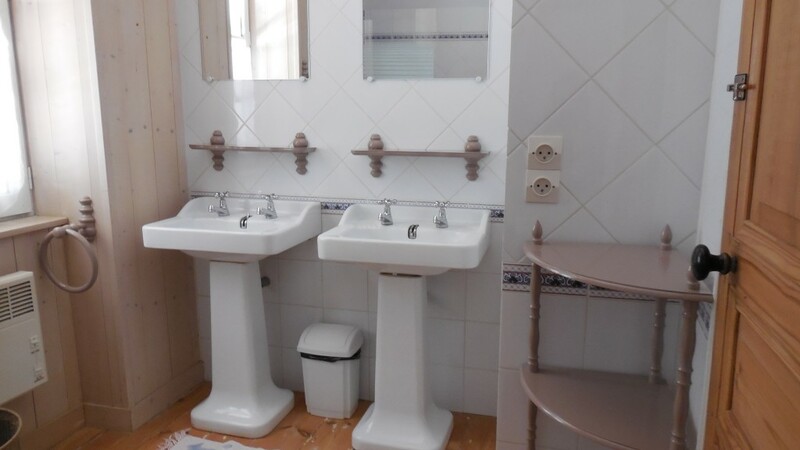 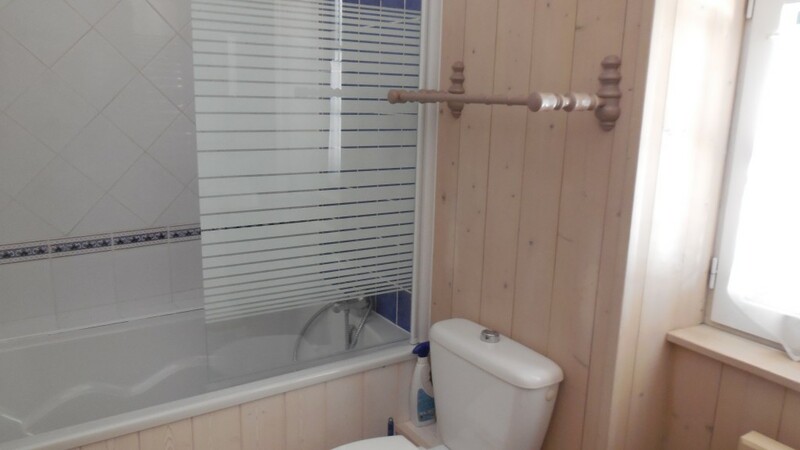 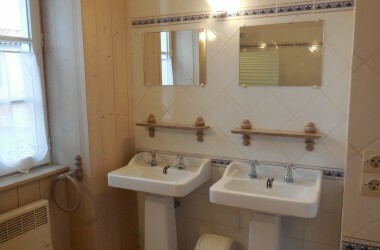 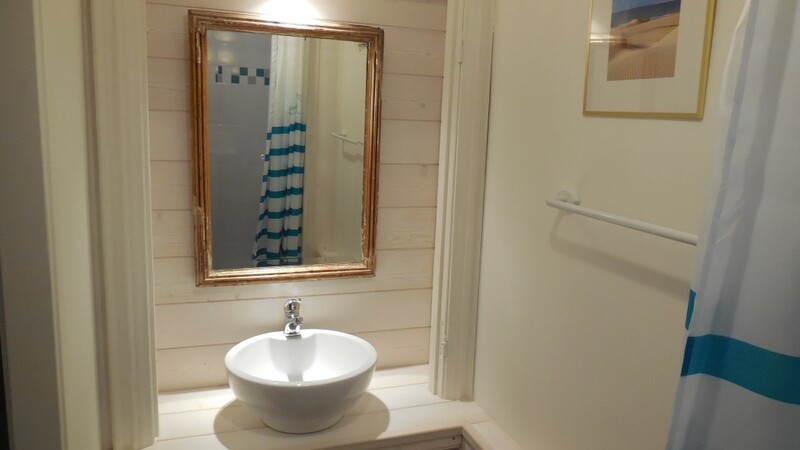 Family bathroom, with two sinks and bathtub, is functional and has a toilet. 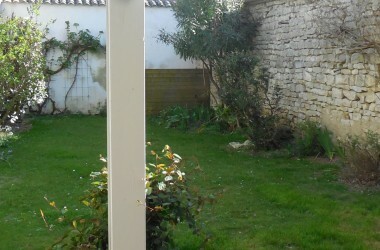 The garden of 100 square meters, facing south, is flowery early in the spring. 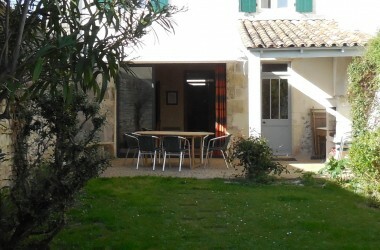 Quiet, no vis-à-vis, the garden offers you to enjoy the barbecue and its paved terrace. 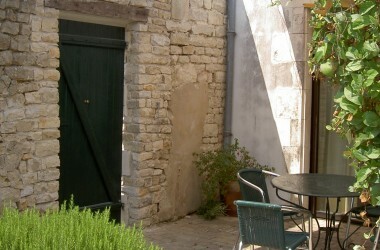 An access door allows you to enter your bikes in the garden by the small public car park, located at the back of the villa.